Black Friday isn’t just for good deals on vacuums. There are some huge deals you don’t want to miss in the blogging community. 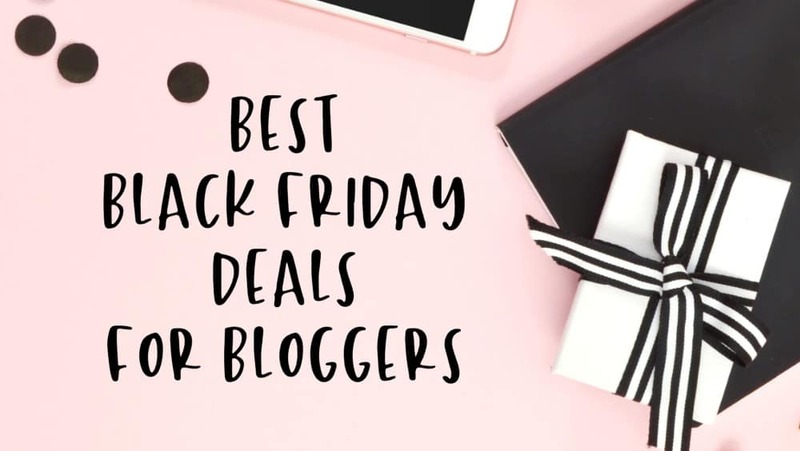 These are the BEST Black Friday Deals for Bloggers. However, if you can click here to see my full list of Recommended Blogging Resources. Although I’m not the biggest fan of BlueHost they are having an incredible sale. Grab Bluehost’s Black Friday deal here. I am currently with Siteground and I fully recommend them! I switched over from Bluehost a few months ago and have no regrets!! **If you are looking to switch to Siteground now is the perfect time, PLUS they switch you over seamlessly for free. My favorite stock photos site is also having a sale! She’s opening up doors to LIFETIME membership! Click here to go straight to her Black Friday Page. They have truly impressed me with this one! Click here to get the deal– remember- deal will not be live until Monday. Details: 30% off until November 27th! Already makred down on the course so no code needed! See graphic for their deals! Click here to shop. Ok so this course isn’t on sale but it IS OPEN FOR ENROLLMENT. This doesn’t happen often. But out of everything, I’d suggest getting this because it will make the biggest impact on your blog. Billionaire Blog Club is transitioning to Dare to Conquer. Haven’t heard of BBC/DTC? It’s everything you need for your blog. All the courses you need- SEO, Pinterest, Ads, Beginning….everything. I’m surprised the doors are still open to this course right now. Usually, he opens enrollment for a few days and then that’s it. Click here to get DTC and change your blogging life. Her Pinteresting Strategies course will change your Pinterest traffic dramatically! Her Affiliate Marketing Course is everything you’ve missed in Affiliate marketing. It’s amazing! Grab Affiliate Marketing For Bloggers here. There are so many Black Friday deals out there, which one do you have your eye on?